Silver Plated Caps, size: 5x10.5mm, weight: 0.92 grams. Yoga Scarves, Material : staple rayon, size 182x100 CM. Leather Cords 2.5mm flat, metallic color - bronze. 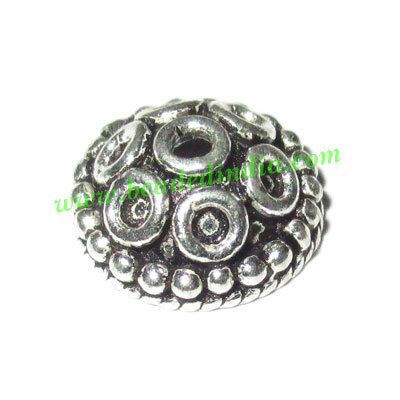 Silver Plated Brushed Beads, size: 25x15x8mm, weight: 3.69 grams. Leather Cords 3.0mm (three mm) round, regular color - khaki. Silver Plated Fancy Beads, size: 9.5x10mm, weight: 2.01 grams.